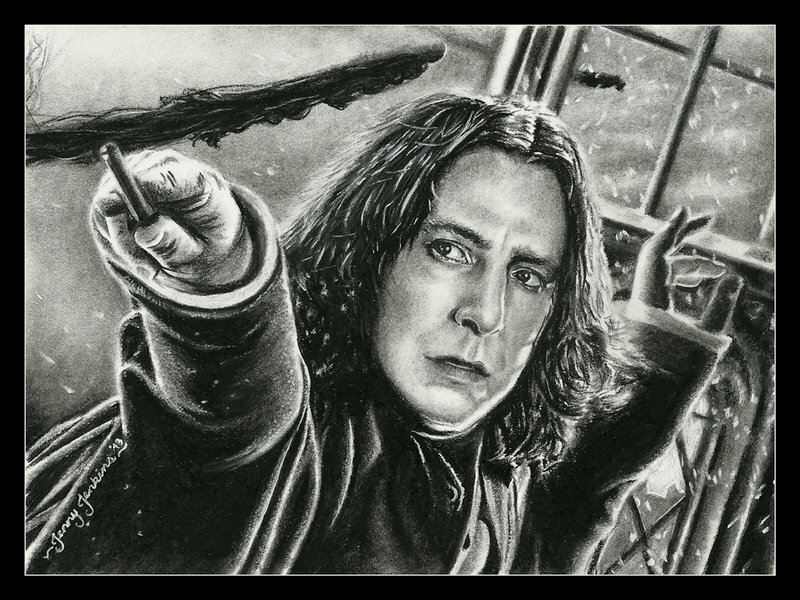 Severus Snape drawing por Jenny Jenkins. Severus Snape (Alan Rickman) from the Harry Potter film series, charcoal pencil drawing. HD Wallpaper and background images in the severus snape club tagged: photo severus snape alan rickman harry potter half-blood prince drawing fanart portrait pencil wizard death eater. This severus snape photo might contain arenque atlántico, clupea harengus harengus, arenques atlánticos, arenque, clupea harangus, arenque clupea harangus, sardina, sardinops caerulea, sardina pacífica, and sardina del pacífico sardinops caerulea.